Place the first four ingredients in a salad press, mix and screw the top down to apply pressure. If a salad press is not available, a large mixing bowl can be used. Place all ingredients in the center of the bowl and mix. Place a 6" plate on top of the salad. Fill a 1/2 glass jar or a bowl with water. Place the jar on top of the plate. This applies pressure to the the plate. Let sit for one hour. Remove, rinse with cold water in a colander to remove excess salt and squeeze to remove excess liquid. 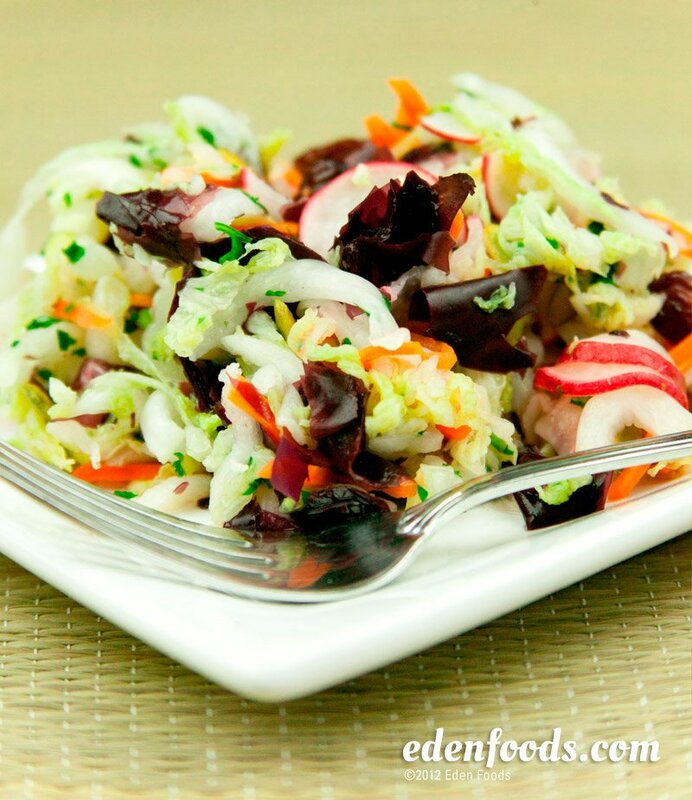 Place the salad in a serving bowl and gently toss in the dulse, dried fruit and pumpking seeds.